The name DKW comes from “Dampf-Kraft-Wagen” which translates to “steam powered vehicle.” It carries this name because the first vehicle its Danish designer, J.S. Rasmussen built was a light steam car. Like many other manufacturers, DKW was also famous for motorcycles–in the 1930s they were the world’s largest motorcycle manufacturer. In 1931, DKW diversified into automobile manufacturing. In 1932, they became part of auto union, joining Audi, Horch, and Wanderer. 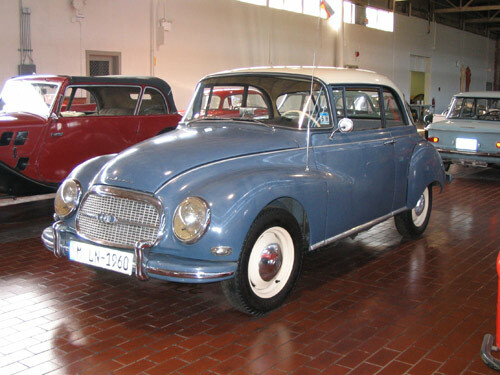 In 1949, DKW was re-established in the Federal Republic of Germany before being taken over by Mercedes-Benz. 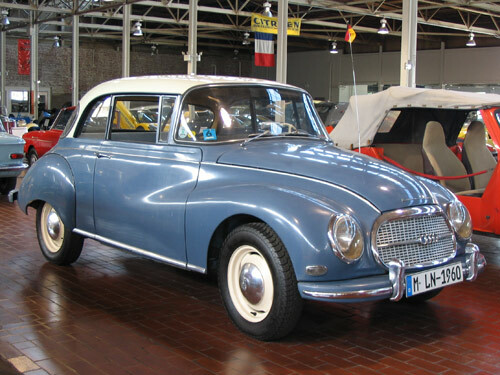 Sold to Volkswagen in 1965, DKW became part of Audi, and ceased production in 1966. DKW was known for being a reliable, well-built car. The two stroke engine is small, being under 1000cc, but provided adequate power to move this medium size car along very well. It is claimed the engine has only 7 moving parts!